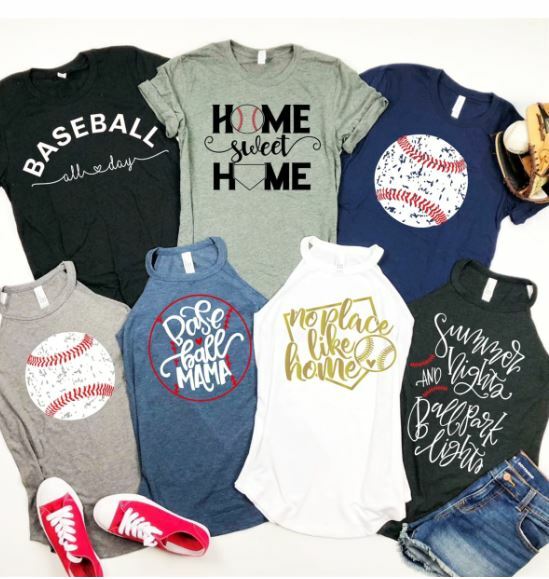 Check out these fun Baseball Tees & Tanks on sale for $14.99 (Retail $29.99). Fashion meets comfort! Pick from our ultra soft flowy high neck tank or our buttery soft Bella brand crew-neck tee. Tank features a flattering long flowy length, tri-blend fabric, rib knit high neck and an adorable high/low cut at the bottom. Major cuteness! Pick your favorite design! Play ball! Shipping is $3.99 for the first item and $2.49 for each additional item.